RadColorDialog shows a RadColorDialogForm which represents a dialog containing a color picker. 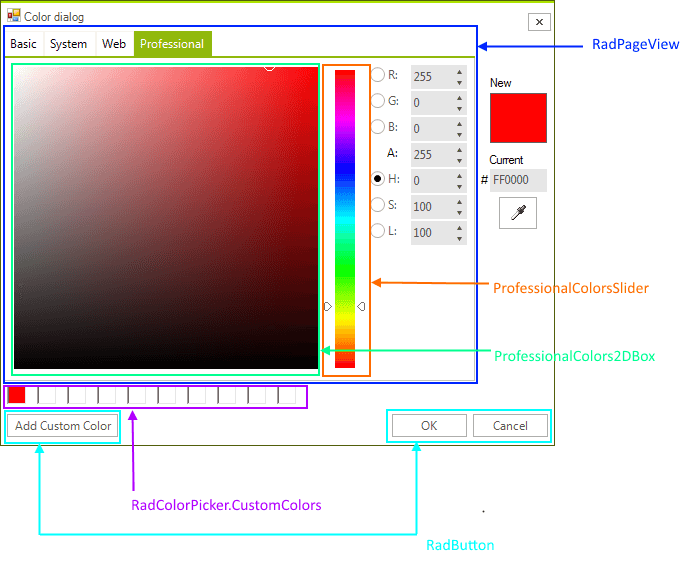 The RadColorDialogForm uses a UserControl for the color selector. It is of type RadColorSelector.